At Patio Land USA, we believe that as authorized dealers in Tampa, Florida, we have to stand by the products that we sell our customers. 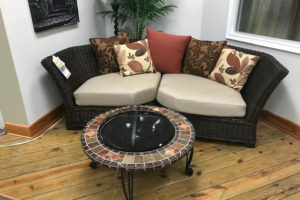 If you want the best possible patio furniture, we are able to help you with the largest selection and with the best possible prices that you are going to find anywhere. 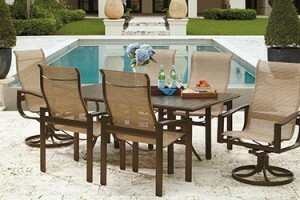 OW Lee® Aluminum outdoor patio furniture is just one example of the great brands that Patio Land USA is able to offer you. If you want to know more about why we recommend OW Lee® brand furniture or why we believe it would be a great purchase, make sure that you keep reading. The OW Lee® brand has been working on designing and producing handcrafted casual furniture for more than sixty years now. 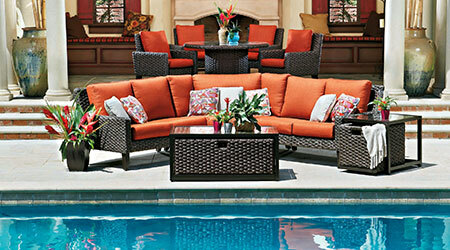 Their manufacturing facility is located in Ontario, California. Here they produce beautiful casual furniture by using state-of-the-art equipment and combining them with centuries-old techniques. The commitment to quality at OW Lee® remains, even after three generations. 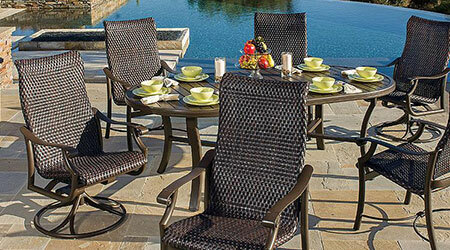 OW Lee® is not only dedicated to providing the best possible quality furniture, but they also strive to offer a wide variety of options to match your current patio design. 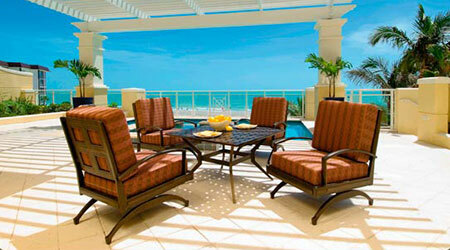 This is evident in the number of different collections in the OW Lee® aluminum outdoor patio furniture line. These design options can range from detailed elegance with flowing interplay of ornate metalwork in the Viento collection, to the form and function oriented option in the Gios collection. The slogan that the company uses, “Made for Generations,” is not just a slogan; it is a way of doing business. This means that customers can expect any purchase from the OW Lee® aluminum outdoor patio furniture line to last with minimal maintenance. 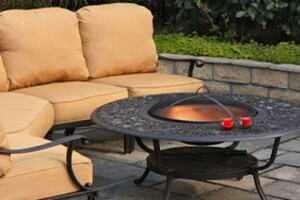 At Patio Land USA, we only sell products that we believe in. 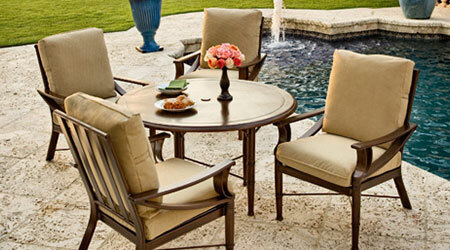 We firmly recommend this patio furniture, primarily because of OW Lee’s® dedication to service and durability. 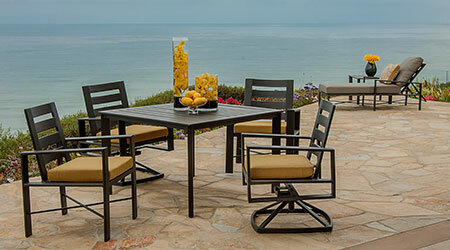 If you are looking for a great way to make your patio stand out, whether you want to go with functional or elaborate, the OW Lee® aluminum outdoor patio furniture line is a great way to go.